Early yesterday morning, a team of Kingsland volunteers boarded a flight to El Salvador where they will drill our eighth water well in cooperation with our good friends at Living Water International. I am grateful to Jason Hall for serving as point man for this trip. The exciting thing about this particular water well is that it was funded by some kids at Kingsland. 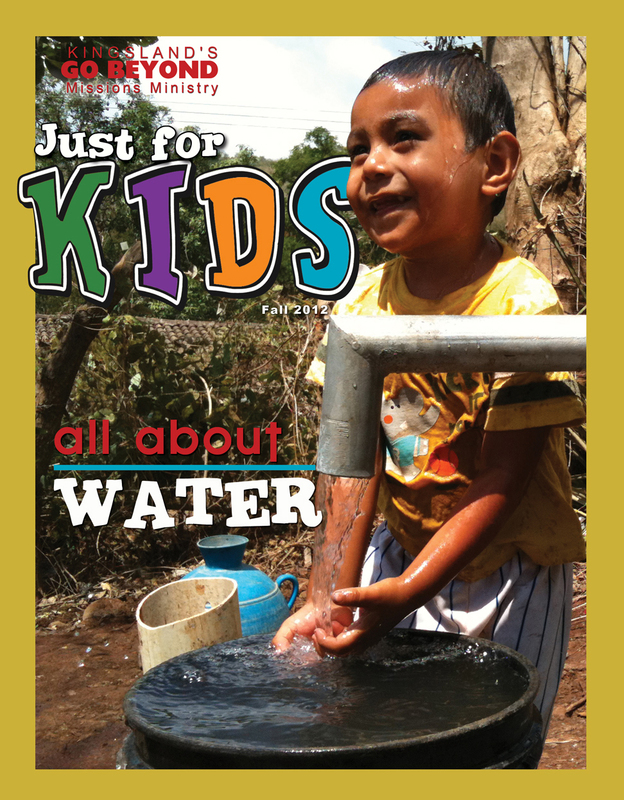 After reading our Go Beyond Just for Kids issue on the global water crisis, some moms and kids got together and came up with a plan to raise $5,000.00 to sponsor a water well in El Salvador. By making small sacrifices and changes in spending and eating-out habits, these kids and moms collectively saved the money to fund the drilling of a water well. Last night, Jason sent me a text message informing me that the team had arrived safely in El Salvador. He also said that the team will drill a water well in the little town of Aguacayo or “water blister” — named after a woman who was always asking people to bring her water. Jason added, “The well funded by Kingsland kids will be drilled at a school!” This water well will serve 253 students between the ages of 4 and 17 years old and their 4 teachers. How cool is that! Kids helping kids. I am so proud of our Kingsland kids for the many ways they have made a difference among the nations. Even though they are young, our kids have demonstrated their concern for the kids who live in the places where we serve around the world. Over the past several years they have found creative ways to raise funds to help kids in Mongolia, India, Cambodia, and now, El Salvador. Kingsland kids continue to demonstrate that you don’t have to be a grown-up to make a difference. You just have to be willing to go beyond — to do more than you have ever done for God and His purposes. Thanks, Kingsland kids. And thanks Jason and team for serving the people of El Salvador. You can follow our team’s adventures this week at our Go Beyond Water blog. Thanks for your encouraging words, Gene. Love the Moody quote. It’s one of my favorites. Thank you, Andrea, for all of your help and hard work in making our Just for Kids newsletter a reality. It’s really great to see how God used our first issue to inspire kids to make a difference. Hello pastor Omar. I am a member at Bethel in Kingsland church. I also went to El Salvador last September with Jon’s group with one of the missions in Agua Viva El Salvador. I would like for you to help me on how I can get some donations I have been working lately. I have 6 bags (to carry stuffs around) for the hygiene leaders there. Also a few tooth brushes and a few little other supplies. Please I will await your response on how I can deliver these stuffs to them thru you. Thanks, Patty. Just bring the items to our office and our team will transport them to El Salvador. Thanks for doing this for our friends at Agua Viva El Salvador.